As mentioned in the previous post, we have a rolling programme for upgrading our studios to keep them professionally relevant. 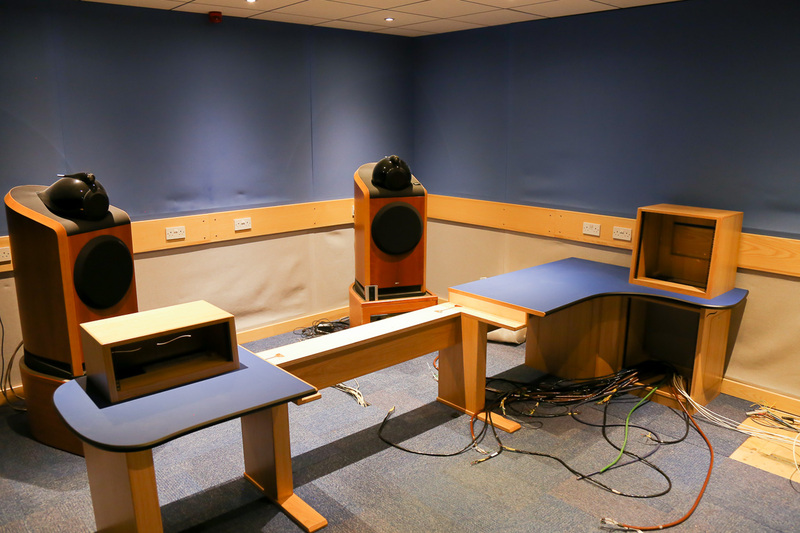 This year we're refurbishing Studio 1, our classical recording studio, and a key part of this is replacing the Sony DMX-R100 console. 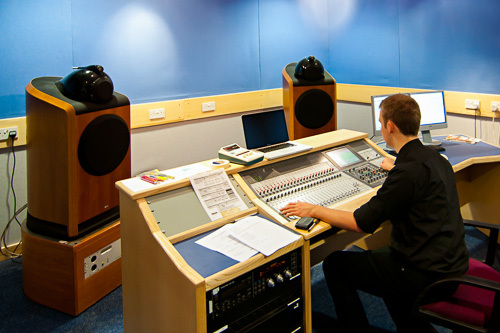 The last post gave an overview of what the studio is used for, which includes recording sessions of various styles of music to multitrack recorders for editing and mixing elsewhere, mixing live performances straight to 2-channel stereo, and editing and mixing pre-recorded material. be complementary to the consoles in the other studios to offer a wider range of educational experience - in our other studios, edit rooms, and location recording provision we already have analogue consoles by Neve, SSL, and DDA, and digital consoles by Neve, Soundcraft, and Yamaha. 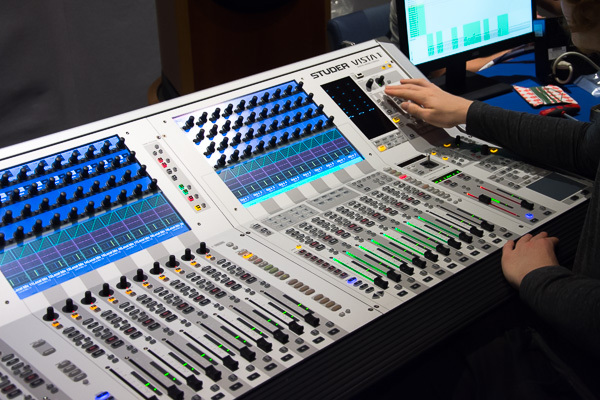 The console for Studio 1 needs to offer something different from those so that students gain experience of as many different systems and approaches as possible. After much discussion and argument, visiting lots of websites and manufacturers' demonstration rooms, and even having a couple of consoles on loan for a month or two, we ended up picking (drumroll, please) ... a 32-fader Studer Vista 1. The Vista meets all of our requirements. It is used by others in industry (for example, Chandos use a Vista 5 for classical recording, the BBC owns many Studer Vistas for live mixing and post-production for broadcast, the Royal Opera House uses one for recording and broadcasing and they're used in many outside broadcast trucks including the Mixbus that came to visit last year). It has instant recall of settings, as well as being able to record and replay automation data locked to timecode, and will interface with a wide range of communications systems. 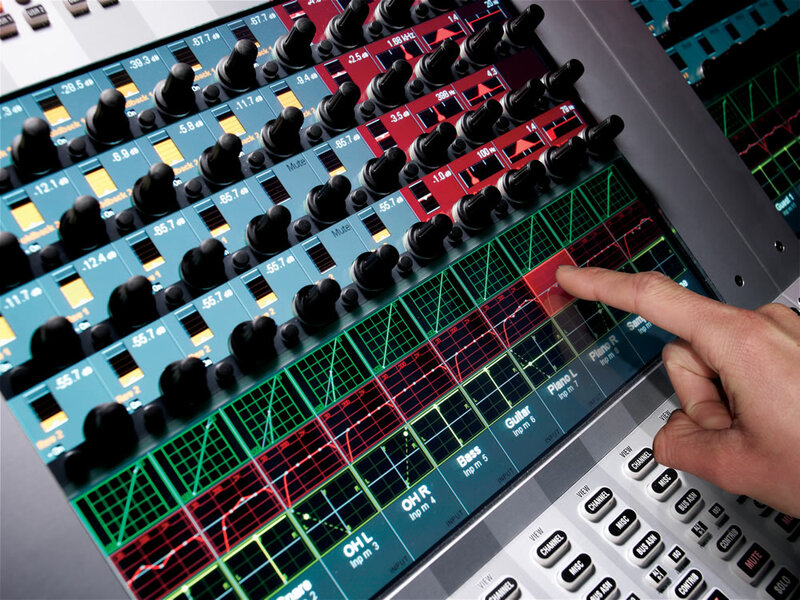 The user interface on the Studer Vista is particularly user-friendly, integrating touchscreens and physical rotary encoders to create a system that is both clear and fast to operate. This approach is also very different from the other consoles that we own. We're in the process of installing it, and the next blog post will talk about the other work that we've done at the same time.